To stretch or not to stretch? – Find out the answer from stretching experts! Stretching – should we or shouldn’t we? Home/News/Stretching – should we or shouldn’t we? It seems for every piece of research that supports one, another study will come out saying the complete opposite. The truth is, stretching itself isn’t bad for us at all, and in fact, it’s great for us! The importance is knowing when, how and why to stretch and problems often come through lack of understanding more than anything else. Should I stretch or not? Which stretches should I do? Should I stretch before or after a work-out? Will stretching reduce my risk of injury? Does stretching make me more prone to injury? What’s the most important stretch? Stretching can be unnecessarily overwhelming and confusing and it doesn’t need to be. Evidence shows that regular muscular stretching, when performed five times per week for a period of four weeks, dramatically increases the flow of blood to our muscles. It also improves the function of our arteries in the muscles and increases the number of capillaries within them. In Layman’s terms, stretching allows us to have a greater range of movement in our muscles which also reduces the chances of injury. Stretching has many other benefits too, such as, improves posture, eases back pain, improves exercise form, boosts joint health, reduces stress levels, improves sleep, strengthens muscles and even helps with diabetes! The most important thing is that we are stretching the right muscles, for the right reasons, in the correct manner. To break it down, there are a number of different types of stretches we can perform depending on what we are trying to achieve. Static stretches are held in a challenging but comfortable position for a period of time, usually between 10 and 30 seconds and is the most common form of stretching. Many experts though, consider static stretching much less beneficial than dynamic stretching for improving range of motion for functional movement, including sports and activities for daily living. Dynamic stretches are more challenging but still performed at a reasonably comfortable range of motion but done repeatedly. It is becoming an increasingly popular method of stretching among sports enthusiasts, athletes, trainers, and even Physiotherapists, because of its benefits in improving functional range of motion. It is worth noting that if you are unsure which dynamic stretches are most beneficial to you that you speak to a Physiotherapist for expert advice. Mobility stretches mimic an exercise you’re about to perform, and the most common amongst sports enthusiasts. For example, if you’re warming up for a football match, you may do 10 leg-swings at waist height followed by 10 at chest-height. If you’re playing tennis, you may do 10 shoulder swings at head height and 10 back handed swings at waist height. The purpose is for the muscles to gradually lengthen over a series of movements, so that when you come to performing that action during a match, it is replicating a movement that you have recently done, but at a maximal function. Passive stretches are usually performed with extra assistance to help you stretch further. This could be your body weight, a strap, a stretching device or even another person. With passive stretching, you relax the muscle you’re trying to stretch and rely on the external force to hold it. You don’t usually have to work very hard to do a passive stretch, but there is always the risk that the external force will be stronger than you are flexible, which could cause injury. We advised not to over-do passive stretches, particularly at the beginning unless you are under the supervision of an expert. To conclude, muscular stretches are hugely beneficial for us. The more the better! As long as we are stretching appropriate muscles correctly, we will be improving the blood flow which will increase flexibility and reduce the chances of an injury. If you are unsure about which muscles to stretch and when, it is much safer to not stretch at all than to do the wrong stretches incorrectly. 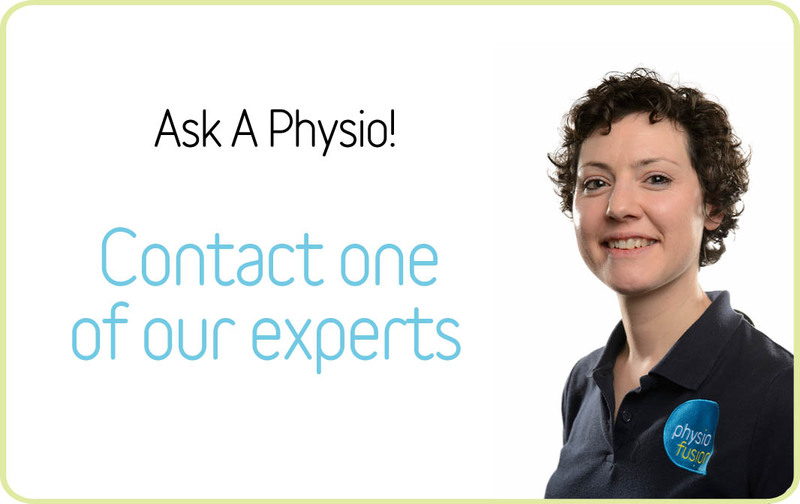 If you would like more information on the most appropriate stretches for you, feel free to use our FREE Ask A Physio service for professional advice or call us on 01282 453 110.